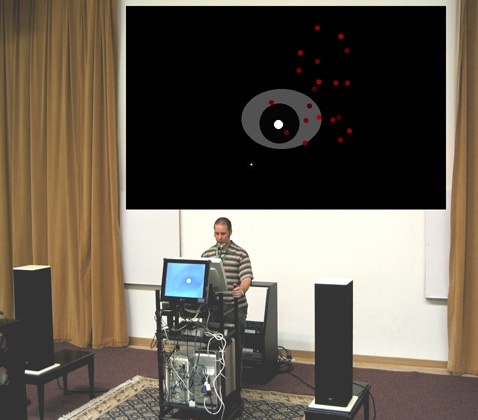 In 2005, I spent a summer working in the University of Oregon’s Cognitive Modeling and Eye Tracking Lab under the direction of Anthony Hornof, exploring music and multimedia performance driven by eye movements sensed in real time using an eye tracker and mapped to various control parameters. The resulting piece, created in collaboration with Anthony Hornof and Tim Halverson, is titled EyeMusic v1.0. The work was presented at SEAMUS 2006 and NIME 2007. More information here. Hornof, A., Rogers, T., Stolet, J., & Halverson, T. (2008). Bringing to Life the Musical Properties of the Eyes. Department of CIS Technical Report 08-05, University of Oregon. Ten pages. Hornof, A. J., Rogers, T., & Halverson, T. (2007). 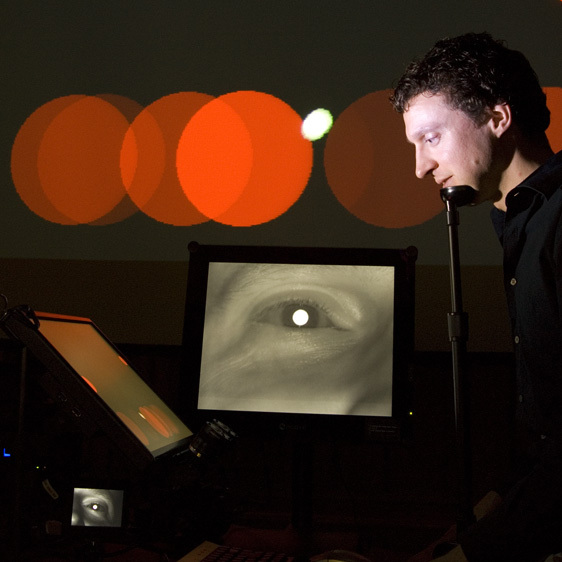 EyeMusic: Performing live music and multimedia compositions with eye movements. Poster presented at NIME 2007: Conference on New Interfaces for Musical Expression. In proceedings on pp. 299-300.